It was a cold night. I moved slowly but deliberately through the dark space. Downright stealthy, was I. The surroundings were unfamiliar to me, my steps unsure. My eyes darted around looking for immediate threats. My heart was racing. I was shivering…was it the frosty air or just unbridled chickenity or yellow-bellyosity? Sweating, too. Knees unsteady. Started humming the Marines’ Hymn… “From the halls of Mon-teee-zoooo-ooo-mah…” That’s better. I can make it… “to the shores of Trip—ooooh—lee!” Left, right, left. Only minutes earlier, I had almost talked myself out of doing this. After all, it was not a “have to” in anyone’s book. But mine. My daughter Valerie, a kindred spirit in many ways, happened to be visiting from Canada. After grasping the situation and what was at stake, she urged me to try. I was trying. Wait! Did I forget to lock my car? Back through the church parking lot near downtown Elmhurst. Yes. No. The car is locked. Check. And darn it. Now I have to retrace that same territory I had minutes earlier conquered. There. Almost to the door. No one around. I grabbed the knob and let it go again. Oh heck with it…I’m going in. No, I was not about to re-enter a Weight Watchers meeting weeks after somehow repacking on 18 pounds (I know. It’s the ice cream, the devil’s own sweet frozen hell). Stared that one down a few weeks ago. And no, I wasn’t about to take another crack at demolition derby driving. Not yet. This was a much worse fear with even less good reason to face it. Why do I do it? Why do I choose to subject myself to this torture? It’s not like I’m out saving puppies or something even more altruistic. Pardon the melodrama. It’s appropriate here, really. Back to the door. I checked my watch just before stepping in. I was a few minutes early. It was open auditions for the Greenman Theatre Troupe, a community theater group in Elmhurst, spring production. Cropped out my tights. April 1974. I’m not even sure why I wanted to do it. 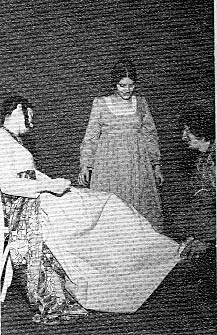 Maybe because I had so much fun cast as the “Prince’s Messenger” in a high school production of “Cinderella” (comedy version). As a senior, I put on tights, ballroom danced, and belted out several funny lines. I still remember getting laughter as I called the stepsisters “cows.” I loved it. 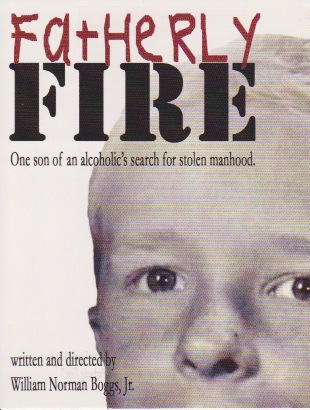 Then, about five years ago, I returned to the theater when I wrote, directed, and appeared in my own autoethnographical play, “fatherlyFIRE.” I loved that whole process too. 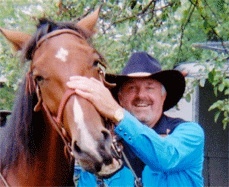 And I guess you could call my other “characters” acting…there’s Wild Willy, the Singing, Magic-Doing, and Juggling Cowboy, my Elvis impersonation (God rest his soul), and more recently, the Green Hornet. We all know the last one isn’t acting at all. 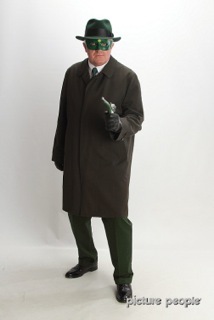 For I am the Green Hornet. So here I was. I really didn’t know what to expect at this audition other than it was a “cold reading” from the script. Well, I had the cold part down. I knew enough to know I could easily be out of my league here in the Chicago area. That was confirmed as I sat filling out my audition form. Acting experience? Just what I listed above. I saw others turning in acting resumes and 8×10 glossy headshots with their forms. Ugh. Can’t leave now. I was not in physical danger here. Tomatoes don’t start flying usually until the actual performance. Emotional danger? Does that include the fear of looking like an idiot? Fear of feeling not good enough…for something, for anything? Fear of making a fool of myself? Some who know me might question if I really fear making a fool of myself since I’m so often doing it. I am afraid of that, deeply so. It terrifies me but I do not want it to stop me. Quell it already. This night, I decided not to “hang back” and instead “expose myself to this personal demon.” It’s a life goal of mine…if there’s a storm on my horizon, turn my little self-ship, I call “Not-So-Crippled Emotions,” around and sail right into it. Haven’t always done that. And sometimes, when I have, my boat nearly sank. So I bought a better bilge pump, as it were. This audition was practice for bigger, more important challenges. The production, called “After The End of The World” is actually a series of nine one-act mini plays about that theme. I was handed a script and invited to go up front with five other actors to read a scene. All that, and I was first up! My mouth was dry. Tried to gulp. Nothing happened. Seeing a water container across the room made it worse. I tried to quickly scan the script I was now holding, with time only to glance at where my character’s parts were. I looked up at my audience of about 20 people. At least I didn’t know any of them….six directors of the various scenes and the others auditioning. I gave it my all. Directors picked me to read from several of the scenes. Two and half hours later, I headed for my car, emotionally spent and with a voice no longer working quite right. I faced my fear and tried my best. I was happy. On the way out, the artistic director of the theater group stopped me. He greeted me and thanked me for coming. Said he knew all the other actors and wanted to meet me. Hmmm. Now I’m a toymaker, mad scientist, and ACK-torr. That was last Monday night. On Wednesday, I got an email from one of the directors offering me a part. A mini play with two characters, business types, talking. I would be one of them. A pretty short play, but I was delighted and accepted. On Thursday, I got a phone call from another director, asking me to read again for another role, a mini play about a crazy preacher who has predicted the end of the world. This preacher is the only character in this play and delivers a five-page monologue. The director said he was deciding between me and another guy. I laughed, since they must think I look a lot like a crazy preacher. I told the director I was born to play that role. So next Monday night, before the first overall rehearsal, I will audition again for the preacher role. We’ll see about that one. If I get it, I’ll appear in two of the mini plays. Whew! Play audition, yes, but more importantly fear practice. At some point, I might need to explore all the psychology about wanting to act…to be someone else. Also this fierce yearning I have to entertain. Later. Not today. Today I just want to be fearless. I turned on my mental pump to get rid of the water my emotional dinghy had taken on in this process. Oh. Sprung a couple of small leaks in the well-worn hull. As one song says, “the ship is battered and the sails are torn.” True, but it still floats. Bubble gum doesn’t hold long for repairing destructive self-talk torpedoes, but it works in a pinch. Lasting repair will take some sea-worthy epoxy and high-gloss marine polyurethane finish. There! Ready to sail again. The play will be presented on three weekends in May. I am returning to the stage.